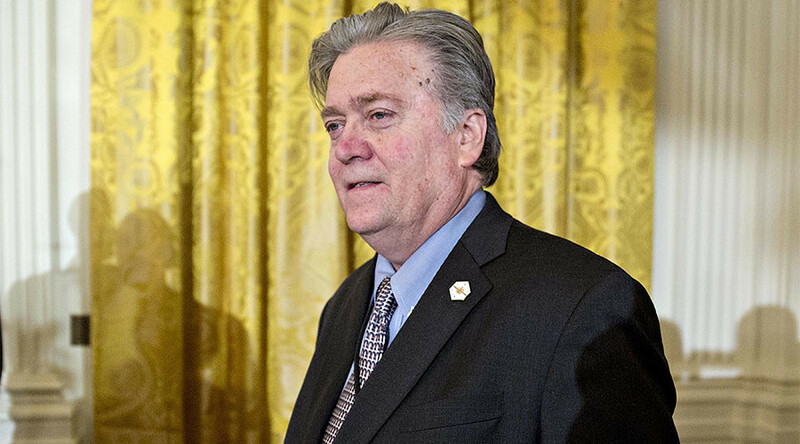 Following Steve Bannon’s promotion by President Donald Trump to a role on the National Security Council (NSC) the hashtag #StopPresidentBannon trended on Twitter, with many claiming the former Breitbart chief is the real man in charge of the White House. In his role on the NSC Bannon will advise President Trump on national security and foreign policy matters, and this will place him in meetings at the highest level of government. Trump announced the news in a memorandum issued Saturday, in which he said the chief strategist will be an attendee at NSC meetings. Some Twitter users ‘sympathized’ with Trump for putting in a lot of hard work to become president and – they say – is now seeing someone else take his job. Others focused, instead, on attempting to infuriate the president, who they believe will be upset by losing Twitter followers. Some also used the hashtag to express support for Trump, slamming those who criticized the president for putting Americans first.